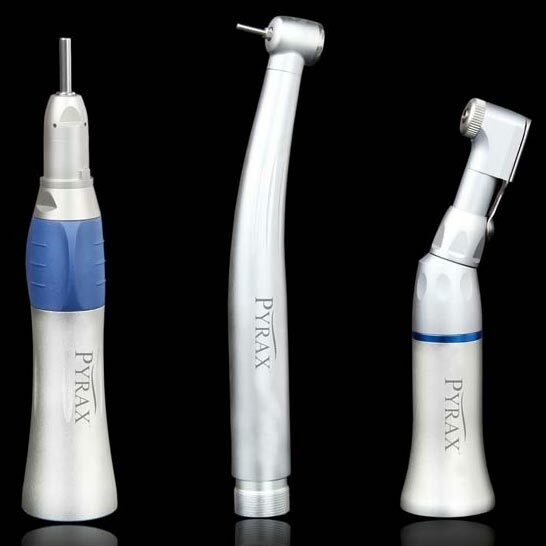 We offer a wide range of Handpieces used in dental surgeries or treating dental related issues like scaling, etc. These Dental Handpieces are ergonomically designed and appreciated widely for durability, flawless performance and compact size with comfortable grip. Variety of Handpieces that we offer is featured with different systems like single spray system, external cooling system, etc., to provide ease to the dentists. The air pressure level and rotation speed differs with altered Handpieces.